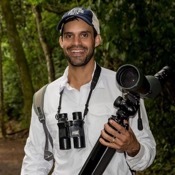 Traveler Reviews for Private Tour in Foz do Iguaçu, Paraná, Brazil by Tour Guide Marcelo d.
Marcelo was truly a super guide; always on time, very well versed on the area along broad areas of interest, and definitely flexible. His car is very clean and quite comfortable. We couldn't have been happier. We were with him for three days for the Iguazu Best and San Ignacio/Wanda Mine tours. The waterfalls are spectacular! We did both sides (Brazil for the super view!). TOUR GUIDE RESPONSE: Thank you for your comment Coralie Belman. Marcelo was an excellent guide and looks after every detail as if it were his personal family. He was prepared and very organized. He has learned about the flora and fauna of his area and seems to enjoy sharing that knowledge with others. He has studied the patterns of tourists to the Iquazu Falls area and organizes your tour to get the maximum return for your time. I highly recommend him! TOUR GUIDE RESPONSE: Me and my sister in law Patricia loved to have known you and your wife! I'll never forget their wisdom sentences about feelings, human and nature. Their presence made us richer. This was our third visit to Iguazu and with our eldest daughter and family. Marcelo was an extremely knowledgeable and helpful guide. The package consisted of airport pick up and drop off. Delivery to the Sheraton followed by a guided tour of the Argentinian side of the falls. The following day Marcelo picked us up to tour an Indian village then the Brazilian side of the Falls followed in the evening by a Folk Show. Marcelo was very friendly and helpful and we all enjoyed his tour and company. 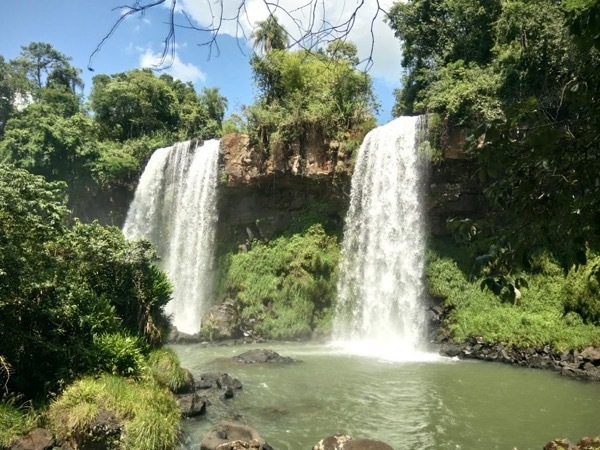 TOUR GUIDE RESPONSE: Hi Hamish Wilson, Your comments make me happy as I was happy during your stay in Iguazu Falls area. You are so nice people that I was pleased to have you all in my company. Thank you very much for everything. Marcelo d.
Marcelo was simply amazing. Very knowledgeable of information about flora and fauna, history, culture, where to eat, etc... about the whole area. Furthermore, he was very accommodating of our unconventional schedule, and went out of his way to help a friend out at a hospital when he got sick. Most importantly, he is very friendly, and explains things very well. I would recommend Marcelo to anybody who goes to Foz du Iguazu. Marcelo did a great job. He was always on time, friendly, knowledgeable, spotless car. We went to both Brazilian and Argentine sides of the falls and he provided transportation to and from the airport. I would recommend him highly! Thanks for your help and patience!! We only had two days in Iguazu and were advised to take a guide and I am so glad we did. We couldn't possibly have packed in what we done without Marcelo. He was on time at every pick up, was very knowledgable about the area and nothing was any bother to him. I would certainly recommend Marcelo to anyone who is going to the area, I believe it would be difficult to find a better Tour Guide. Marcelo certainly contributed to an excellent trip. TOUR GUIDE RESPONSE: Hi Mr. Alan, I am still happy to have made all the tours we did with so short time. You are very nice people and I also had customers five stars. Thank you very much. Em Foz do Iguacu e importantissimo visitar os dois lados,especialmente o Argentino,cruzar a fronteira toma tempo, mas o Marcelo nos ofereceu o melhor transporte o mais rapido servico na Aduana-fronteira e esteve sempre super atento as nossas necessidades e interesses. Marcelo e um perfeito cavalheiro, um profissional de alta classe.Eramos um grupo de 5 americanos e eu brasileiro, Marcelo foi o guia perfeito para o grupo,pois fluente em Ingles nos assistiu de forma maravilhosa.Nota 10 com louvor para ele.